I don't know about you, but I've been looking forward to Downtown Dining Week pretty much since last year! For one whole week, a bunch of very popular, very delicious restaurants in Memphis offer one 3 course dinner or two dinners for only $20.13. This year, you also can get a special lunch menu for only $10.13! It really is a steal of a deal. We are definitely going to take advantage of this and eat at those places that we mayyyybe wouldn't splurge on on a regular basis. Or even just revisit some of our favorites. There are so many incredible places. 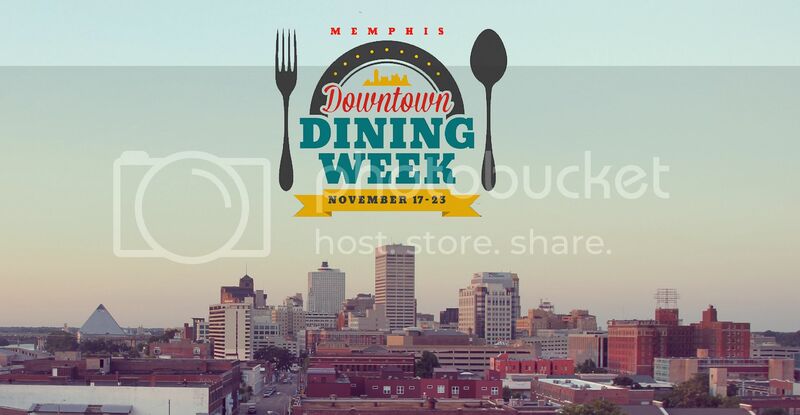 Be sure to check out the menus on the official Downtown Dining Week website. Don't worry, you knowww I'll be sharing where we decided to go eat! I wish we lived closer to Memphis than we do, I'm jealous! We're going to Itta Bena for the first time, and I'm super excited. The menu they posted looks delish!